For most of us, Christmas is a dangerous time of the year for our wallets. But, here are some money saving tips for motoring that can help you free up some cash elsewhere. What with buying presents, food, and travelling to see friends and relatives, it is calculated that 1 in 8 Brits will start 2016 in debt due to Christmas expenses. You can have a look at our Christmas money saving tips to assist you in being one of the 7 in the black come January. Additionally, it is worth considering other ways to keep a tab on your expenses this holiday season. 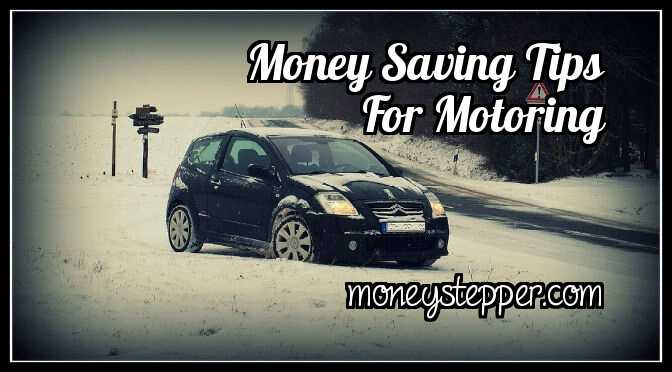 Here then, we have put together three helpful ways to trim your motoring costs this winter. Shop around for different insurance packages. Most people opt for one insurance provider from the outset and never reassess the decision to see if there is another provider who can offer them a better deal. Unlike in the energy sector, there are a score of car insurance companies to choose from, each with their own premiums dependent upon the vehicle you drive, the area you live in, and your driving record. It is not going to be the most exciting afternoon of research, but if you do it diligently it can help you save a bundle. Maintenance costs are often eye-wateringly high, even for defects that appear relatively simple. Well, many problems that people take their car into the garage for are simple, and do not need a professional mechanic to fix. We are not suggesting you try your hand at rebuilding the engine, but things like frequently checking tyre pressure and fluid levels are easy to get into the habit of doing, and can prevent larger problems cropping up down the line. It is also possible to buy your engine oil and other car parts from companies such as Mister Auto, coming at a fraction of the price a mechanic might charge. Fuel consumption can be dramatically reduced simply by training yourself to drive in a slightly different manner. Keeping an eye on tyre pressure, reducing speed and (if possible) avoiding stop-start traffic could reduce your consumption by up to 20%. And naturally, if you are in the market for a new car, do your best to avoid the gas guzzlers.